Clifton Park, New York -The Capital District Transportation Authority has created a new bus route that runs along Route 9 between exit 9 of the Northway and downtown Saratoga Springs. The new route, 409, is now running and will serve the towns of Clifton Park, Halfmoon, Malta, and Saratoga Springs. Route 409 makes stops at neighborhoods, mobile home parks, apartment complexes, businesses, and shopping centers. 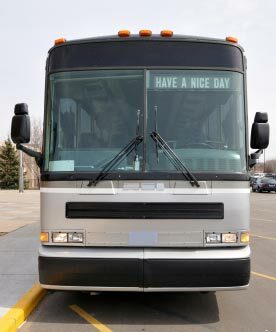 The bus begins the route each hour, Monday through Friday from 6am to 6pm. The route was created to serve the 100 or so businesses along route 9 as well as the people employed by them. The CDTA also operates the NX Northway Commuter Coach Bus service to and from Albany and Saratoga Counties, as well as 6 other Saratoga routes that are accessible from route 409. Customers can transfer to the Commuter Coach at the Exit 9/ Crossings Park and Ride stop. For more information or further questions call the CDTA Customer Information Center at (518) 482-8822.